How Sarah came to the Alexander Technique. Sarah’s career with horses started when she worked at Elsenham Racing Stud. Sarah was in charge of the foaling unit and helped handle and bring on youngsters. Sarah then decided to train for her AI at Hallingbury Hall Equestrian Centre and after gaining her BHSAI she continued to teach there. As with most people who take part in horse riding or work with horses Sarah found that her body did not keep up with the demands that were required. Sarah then started work at Universal Music as an IT Trainer and found that her back problem persisted and she ended up with a herniated disc in her back. She looked at various ways to rid herself of the pain, after seeking help from consultants, osteopaths and chiropractors with no resolution she tried the Alexander Technique as a last resort. After one Alexander Technique lesson, she was able to travel in her car on her hour long journey to and from work without any pain and with just a few more lessons she could feel a noticeable difference in her back. After a year of using the Alexander Technique Sarah was so convinced of its benefits she decided to train to be a teacher of the Alexander Technique and help others. 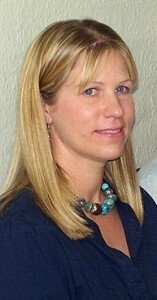 Sarah is a qualified Alexander Technique teacher accredited by the Society of Alexander Technique teachers (STAT), Alexander Technique Education UK (ATEUK). She also teaches at the East Anglia Centre for Alexander Technique teacher training school. As well as teaching the Alexander Technique on its own she incorporates it into her horse riding lessons and is a British Horse Society Accredited Professional Coach.